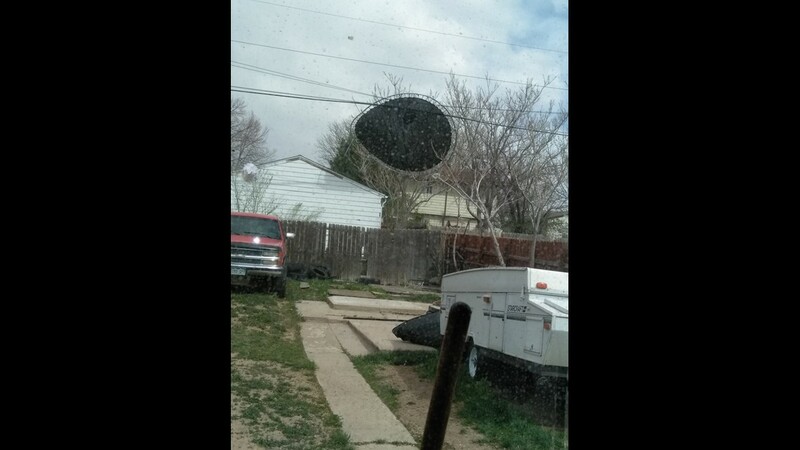 Due to the winds, there were lots of things (like trampolines and Porta-Potties) in places they should not be. 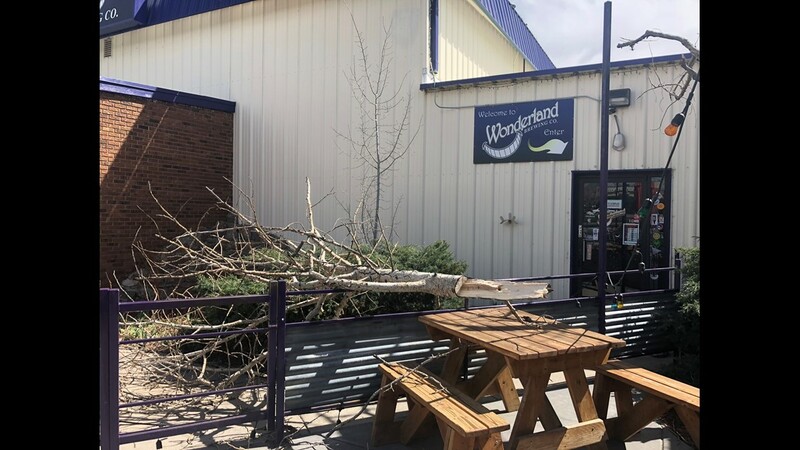 KUSA — The sight of shattered windshields, streets littered with tree branches and trampolines/Porta-Potties in places they definitely should not be were common across the Front Range Tuesday afternoon as dangerous wind gusts blew through Colorado. 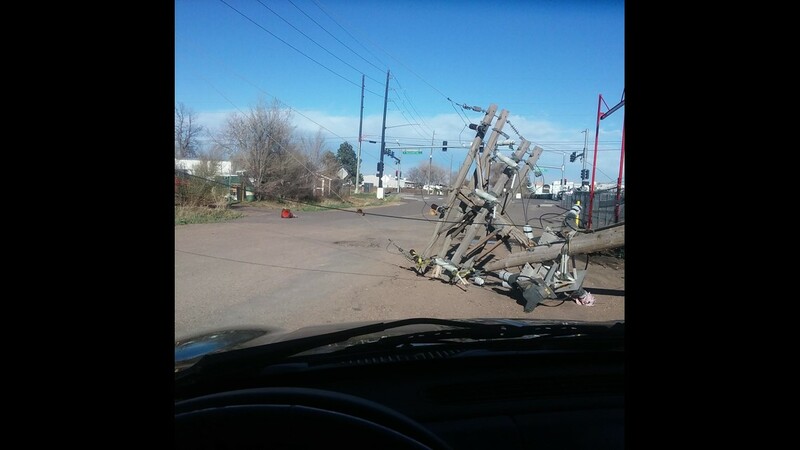 The storm knocked out power for nearly 50,000 Xcel customers as crews worked to repair downed and damaged power lines. 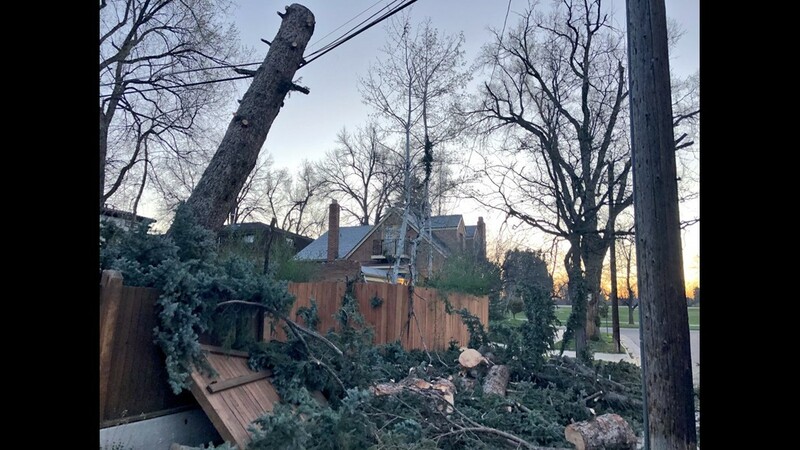 Peak wind gusts were recorded at 89 miles per hour in Louisville – and more than 50 mph in Denver, where trees fell into numerous major streets and onto houses (for context, hurricane-force winds are defined as more than 74 miles per hour). 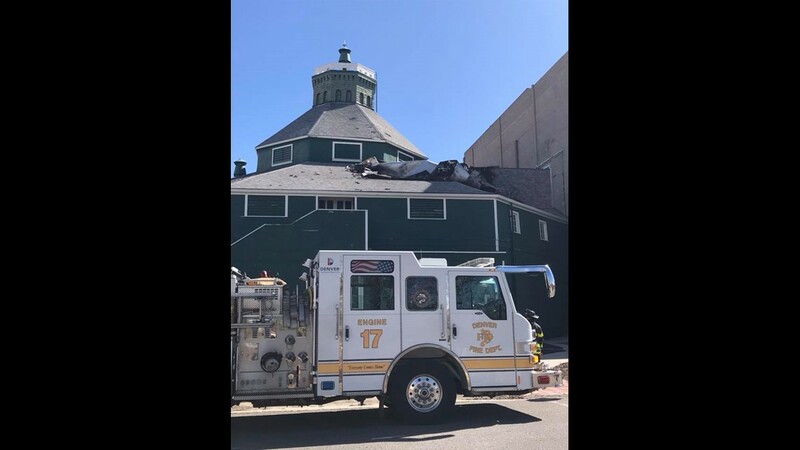 Downtown, fire crews battled a smoky blaze on the shrubs and plants on the roof of a one-story building. 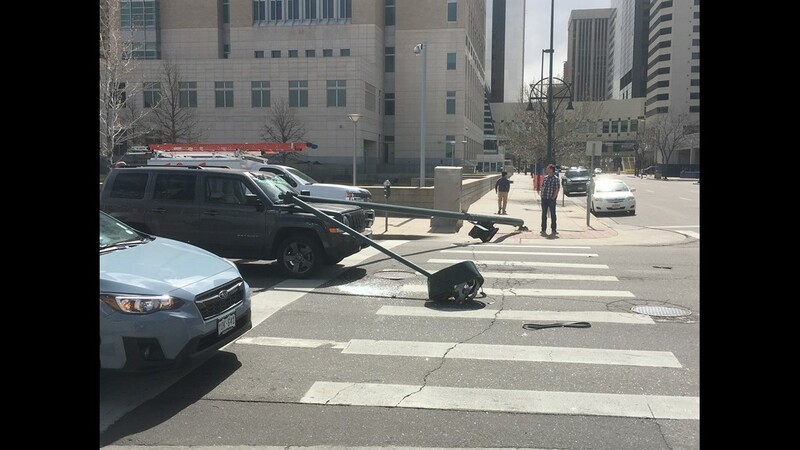 A few blocks away, part of the roof of the Denver Center for the Performing Arts actually fell onto a truck parked on the street dozens of feet below. 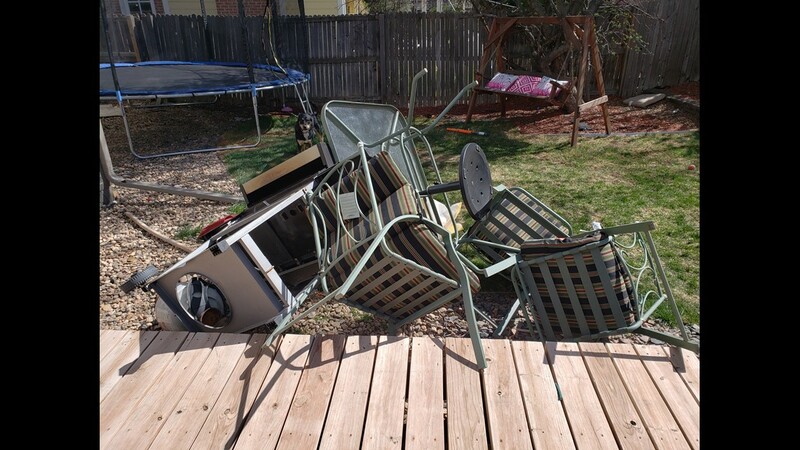 Perhaps miraculously, at this point, there have been no reports of major injuries due to the wind. 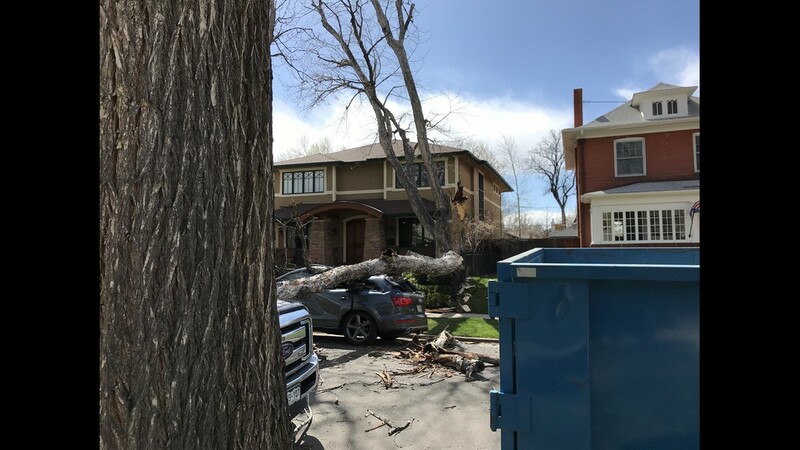 Here’s a look at what happened because of Tuesday’s wind storm – and the impact it could have for the rest of the week. 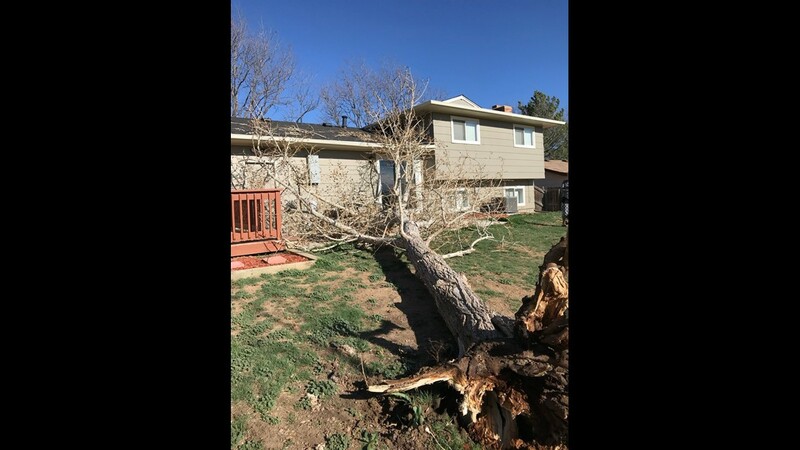 Xcel said late Tuesday night that 116,983 customers experienced some sort of outage due to the wind. 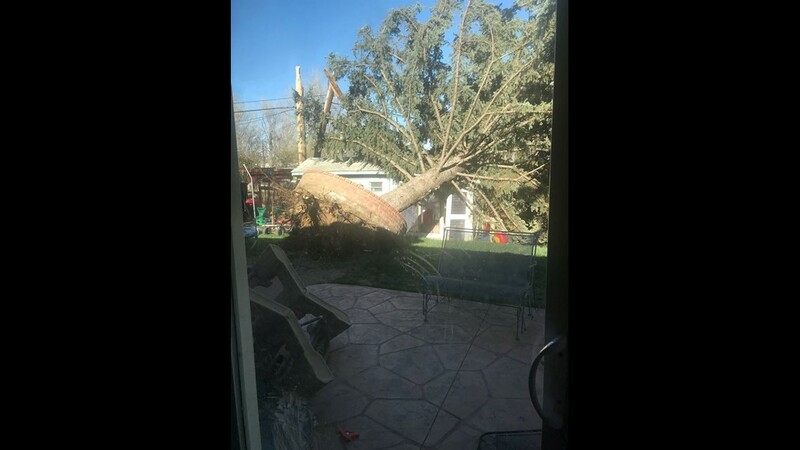 Power has been restored for many of them, but it's unlikely to be back for everyone by Wednesday. 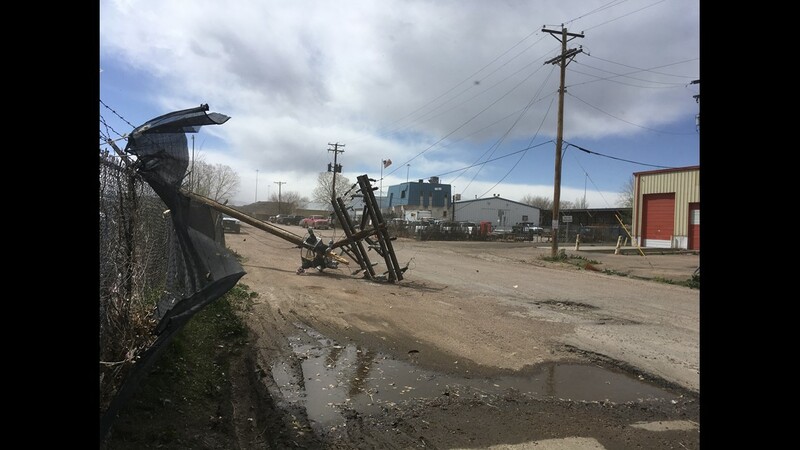 Crews are working overnight to repair downed power lines. Due to the power outage, two Mapleton Public Schools will close their doors on Wednesday. Class is canceled at the Global Campus and Big Picture College and Career Academy, the district announced. The Mapleton Schools Administration building will also be closed. 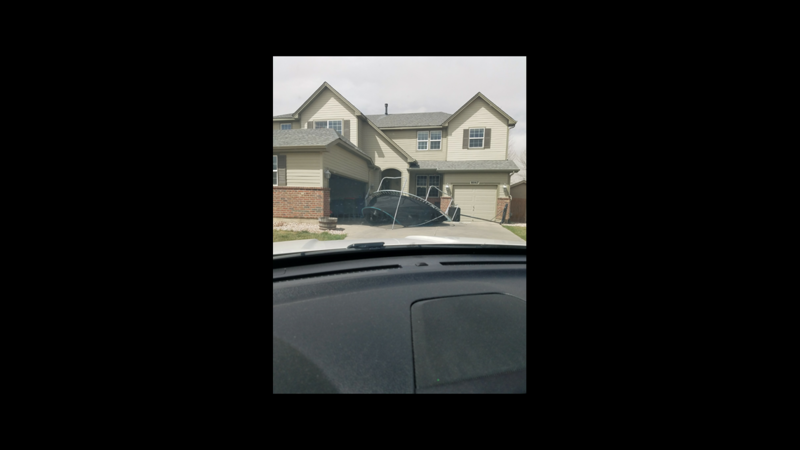 In the Boulder Valley School District Escuela Bilingüe Pioneer in Lafayette is also closed due to power outage in the area. 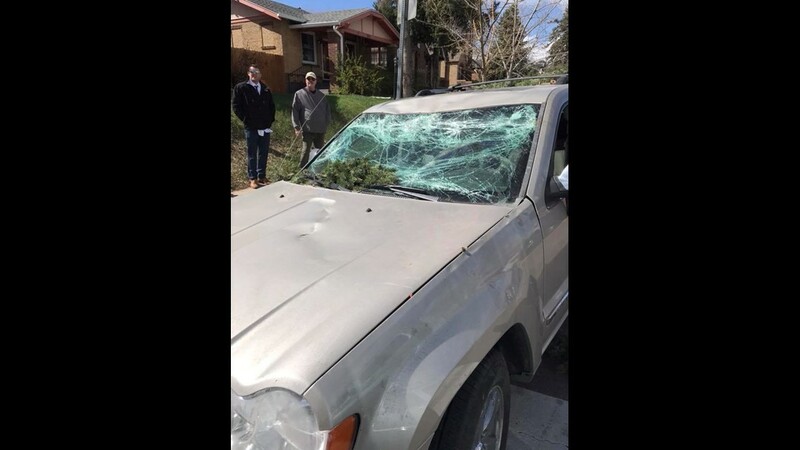 Farther west, Regis University canceled classes on Tuesday night due to high winds, falling trees and downed power lines. 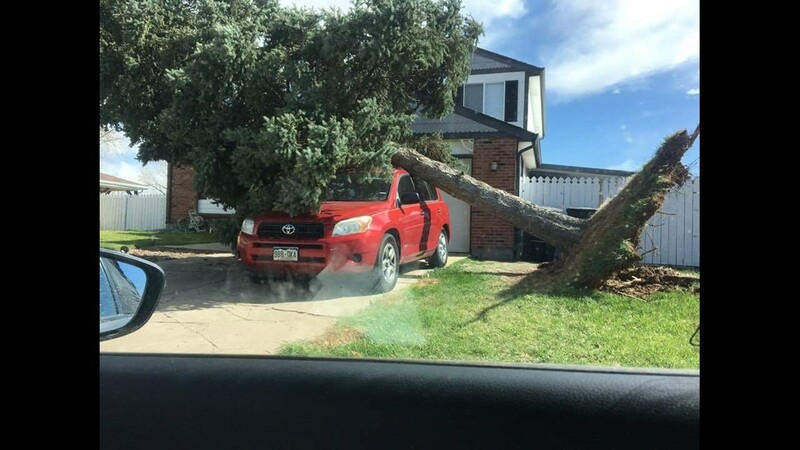 Numerous 9NEWS viewers spotted trees that were simply knocked over by the sheer force of the wind. 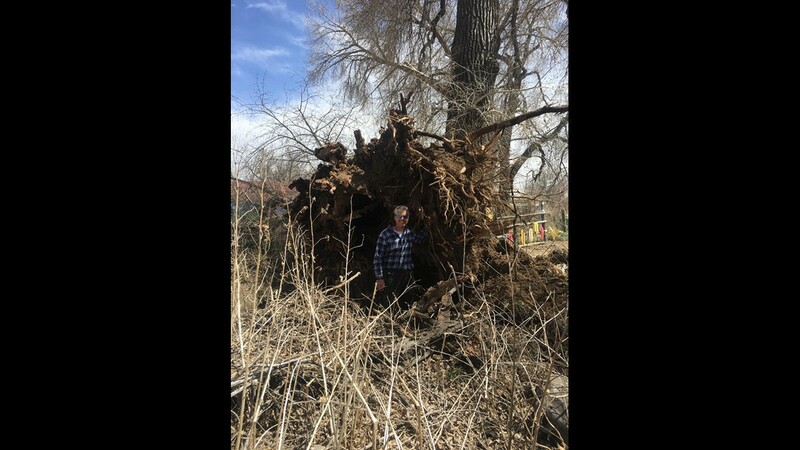 Some of those trees were in the Washington Park neighborhood, but others were as far north as Fort Collins. 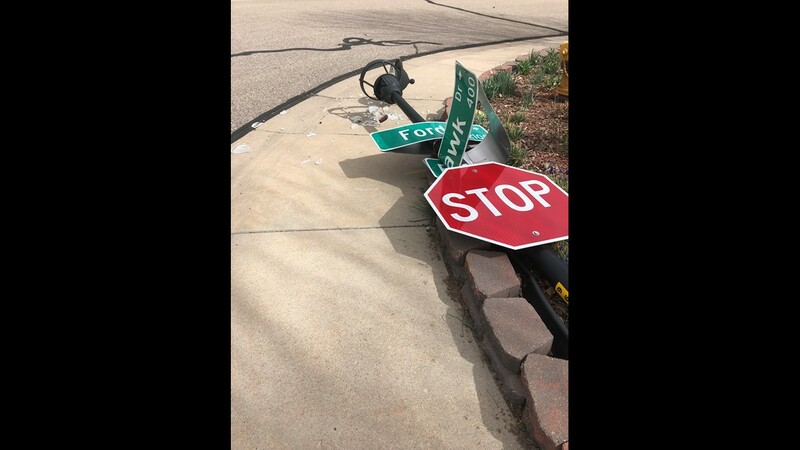 Stay clear and report them immediately to Xcel Energy at 1-800-895-1999. 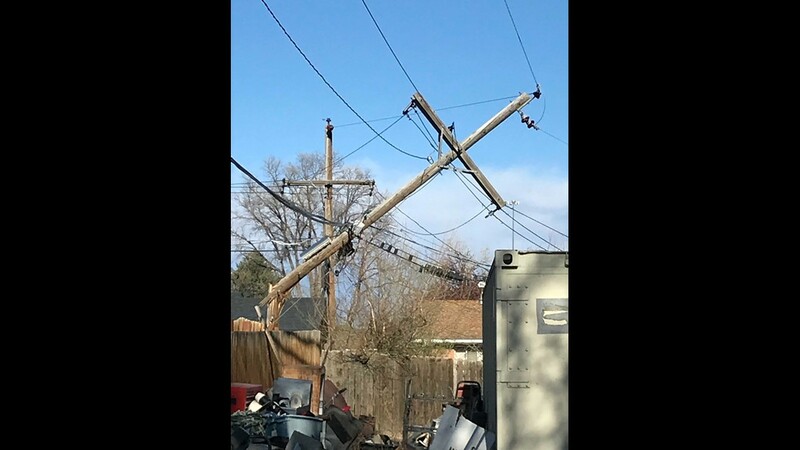 If a power line is in contact with any object, stay away and call 911 immediately. 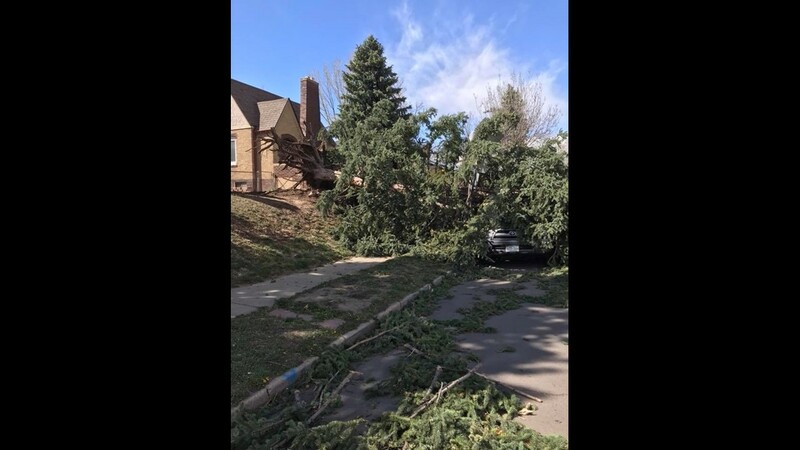 Numerous trees also were blown onto homes in the Denver Metro Area. 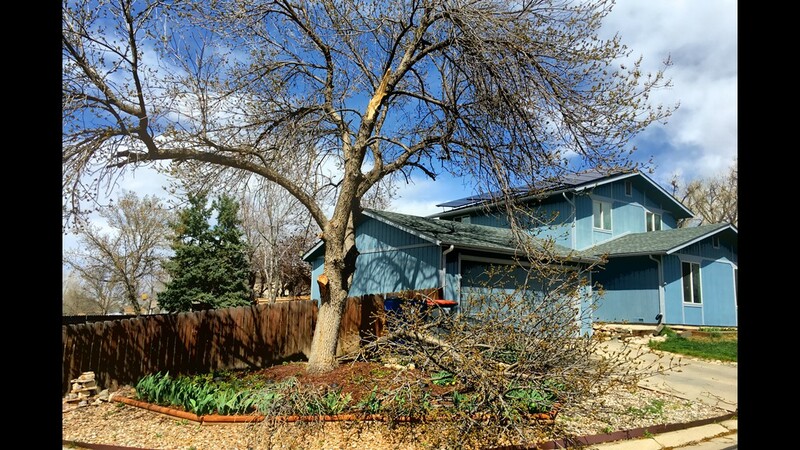 One large tree was blown onto a house near East 8th Avenue and Chambers Road in Aurora – luckily, no one was injured. And not even firefighters themselves were immune the storm. 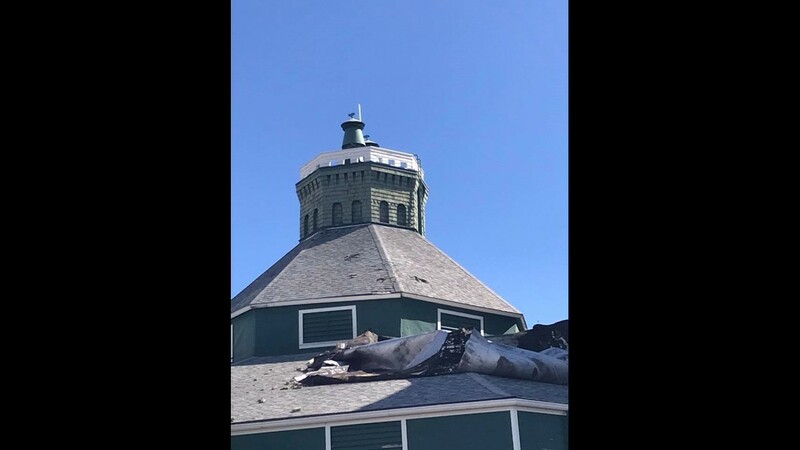 West Metro Fire’s station on Huron sustained roofing damage – and some materials blew off onto employees’ cars. The station is still hospitable, West Metro Fire tweeted. 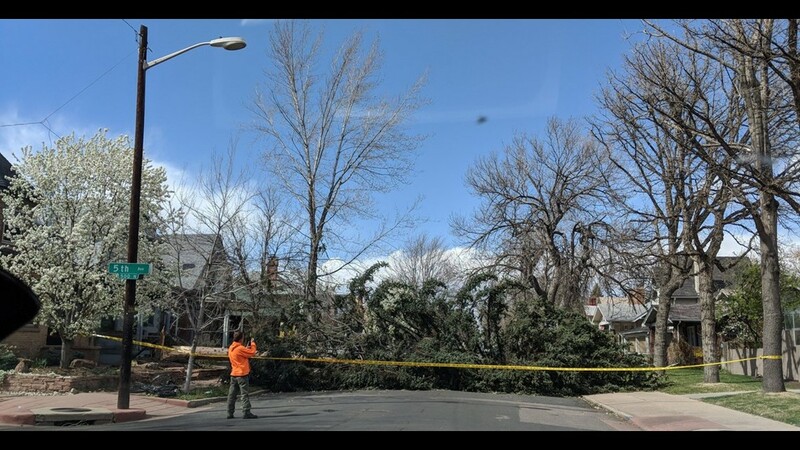 Numerous major Colorado highways – including stretches of Interstate 25 and I-76 – were closed due to the winds, but many of these roads have since reopened as the gusts died down. 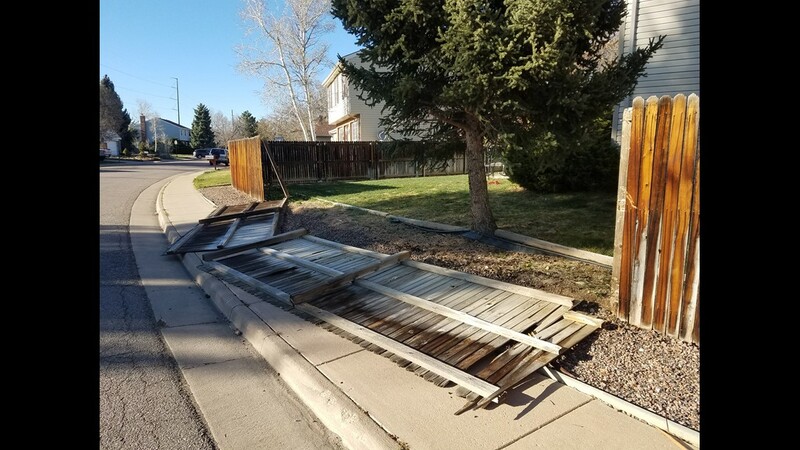 High wind restrictions were in place overnight – especially in far southern and northern Colorado. 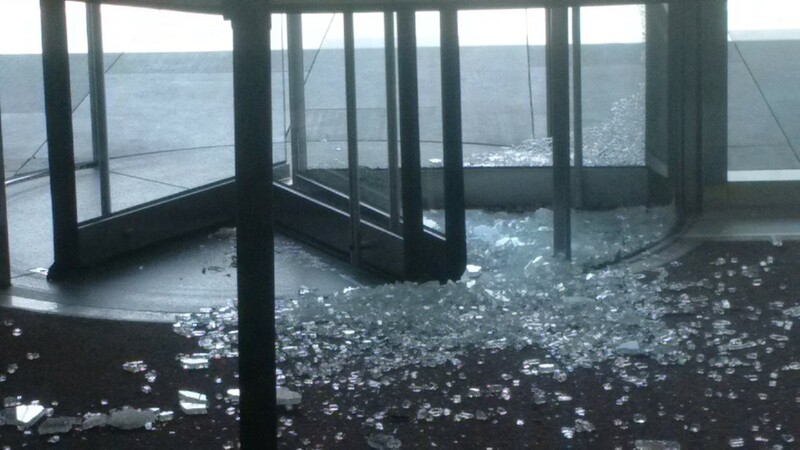 Flights were grounded for a short period of time at Denver International Airport Thursday afternoon, but have since more or less returned to normal. 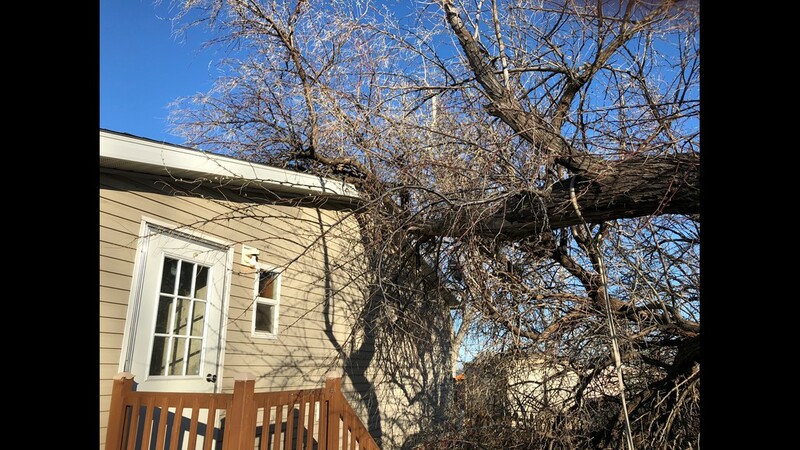 Wind forced tree to topple onto this house in Edgewater. 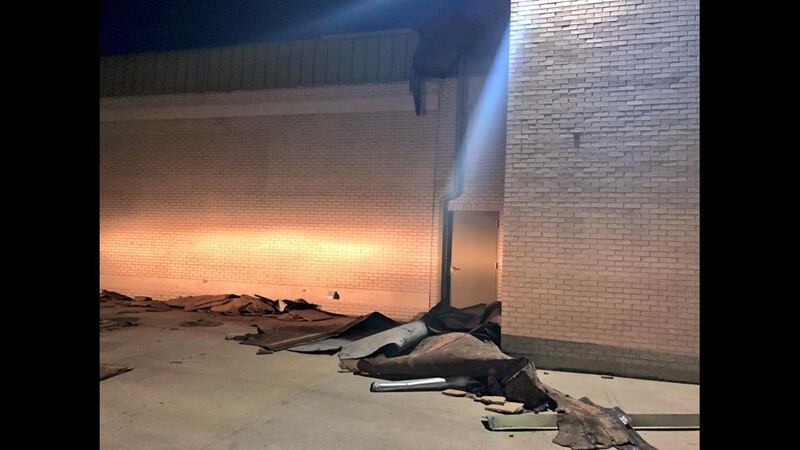 This is a North Metro Fire station that got its roof ripped off yesterday. 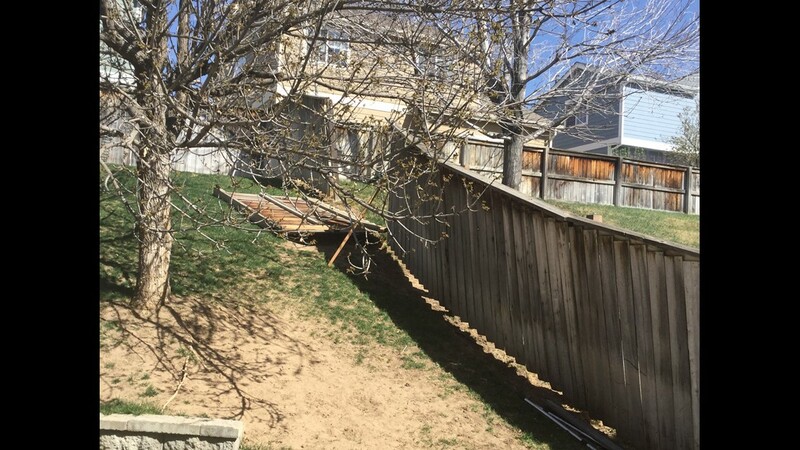 Wind damage from yesterday damages this fence. Courtesy Clay Crist. 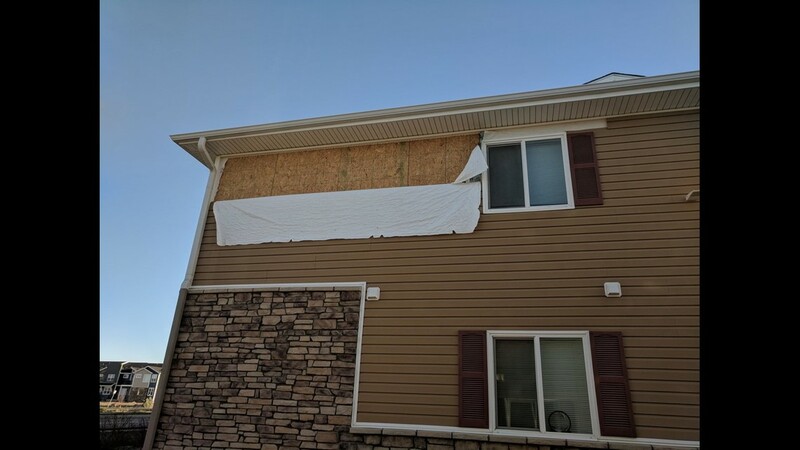 The winds yesterday were SO bad in Longmont part of the building ripped off! 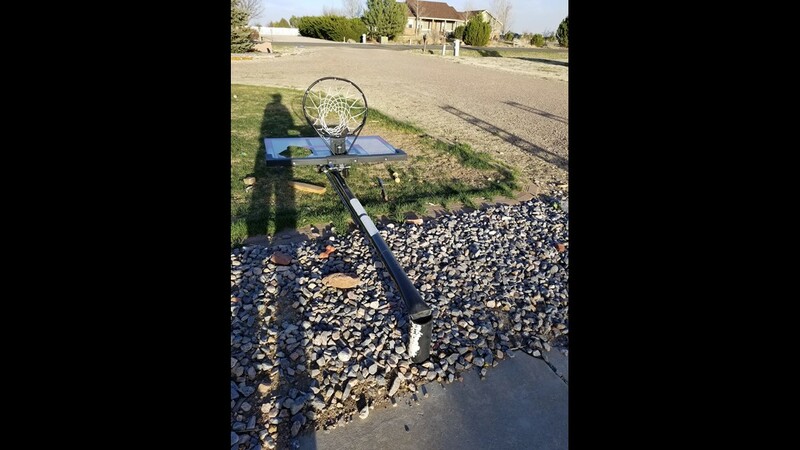 This basketball hoop in Strasburg didn't stand a chance in yesterday's winds. Courtesy: Jill Dobransky.